Oct 22 By Jen 39 Comments This post may contain affiliate links. 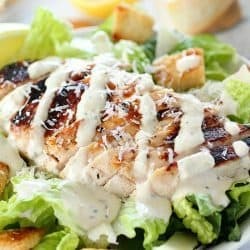 Need a quick and easy chicken dinner? Tired of the same old thing? 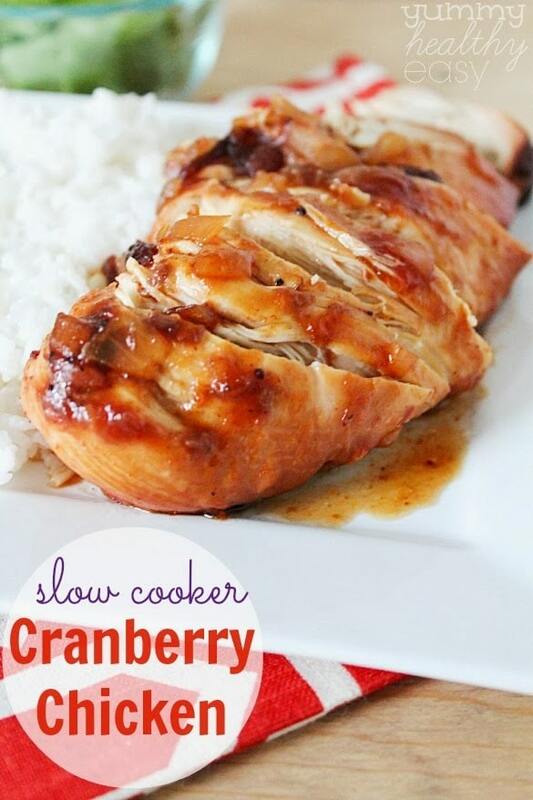 Time to get out your Crock Pot and try this Slow Cooker Cranberry Chicken! Your family will love it! Happy Tuesday! I spent my weekend in Pasadena, California at my oldest son’s playoff game. His team played hard but lost. My son was pretty bummed but I can’t say that I am! I was so ready for football to be over. I have my weekends back!! Even though things have calmed down a bit at my house, less practices and back and forth, I still love easy meals. I use my crock pot every single week. 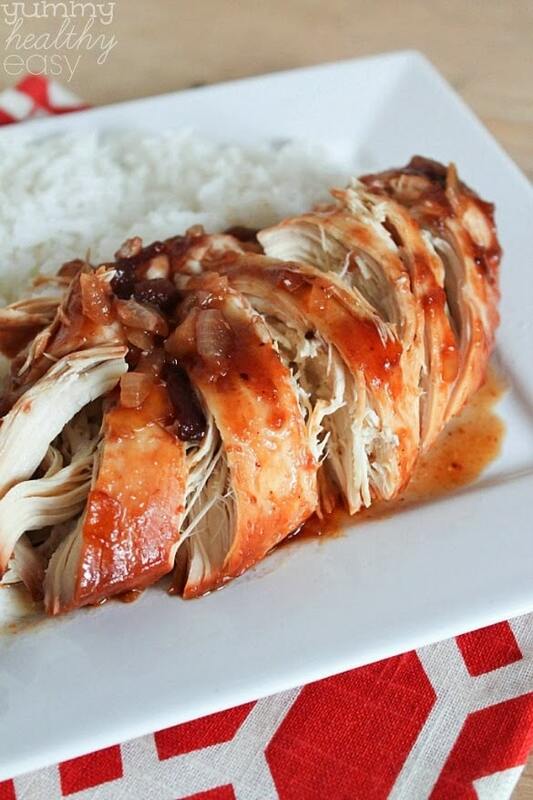 This cranberry chicken is delicious! 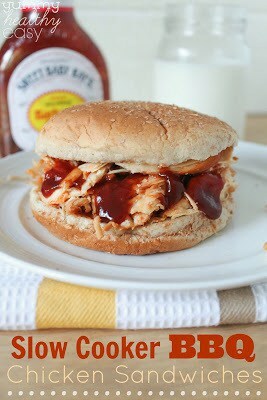 It may sound weird to put cranberry sauce with chicken, but mixed in with barbecue sauce, it makes a sweet and tangy sauce. The chicken is moist and so yum. 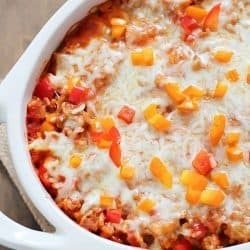 Only a few ingredients for a quick and easy meal your family will love! Cover and cook on high for 4 hours or low for 6-8 hours. Serve with rice and enjoy! Love my crock pot too! 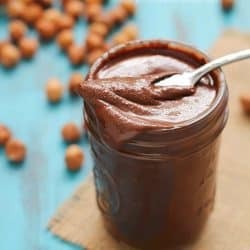 This sounds amazing and super simple! 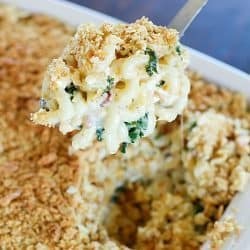 Found this recipe on Pinterest and will be cooking it this weekend. Sounds really easy and tasty. Thanks for making it available! This sounds great! 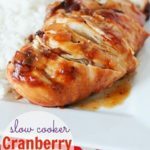 I love my slow cooker and have everything on hand except the cranberry which is easy to pick up. Can’t wait to try this! 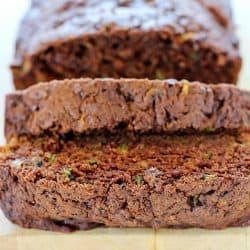 This recipe is so seasonal and simple to make, wonderful. 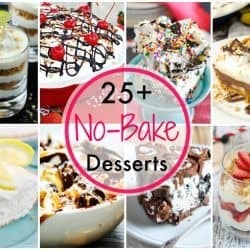 Holy cow Jen… there is something about this picture and recipe that makes me want to run into the kitchen and make it right now 🙂 Thanks for linking up to The Weekend re-Treat Link Party this week! Pinned! Geez Jen. This looks so freakin amazing!! I’m always baffled on what to make in the slow cooker other than soup. Soup I can handle. But this? This is a masterpiece! 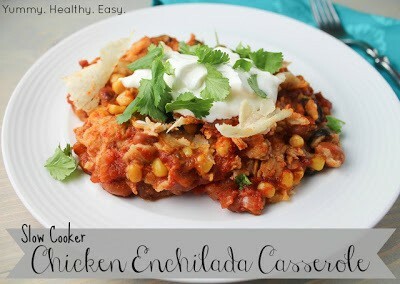 You just might have converted me into trying non-liquid meals in the crock pot! I have a similar recipe–instead of the chicken breasts, I cook a boneless turkey breast with 1 can whole berry sauce and 1 packet of the dry onion soup mix and nothing else. Cook on low for 6-8 hours or high for 4 hours. It makes a good au jus gravy. You can also use split chicken breasts instead of the turkey breast. I have cooked the turkey breast for Thanksgiving. It frees up the oven for side dishes. I am going to make this recipe as it sounds really good also,. Are you using bone in or boneless chicken? I used boneless chicken breasts. Hello Jen, are the chicken breasts you use skinless? Hi Brenda – yep, I used boneless skinless. Can’t wait for you to try this chicken! It’s delicious! could you substitute whole fresh cranberries for the cranberry sauce? Hi Jennifer! I’ve never tried substituting fresh cranberries so I have no clue how it would turn out, but I’m thinking if you did. 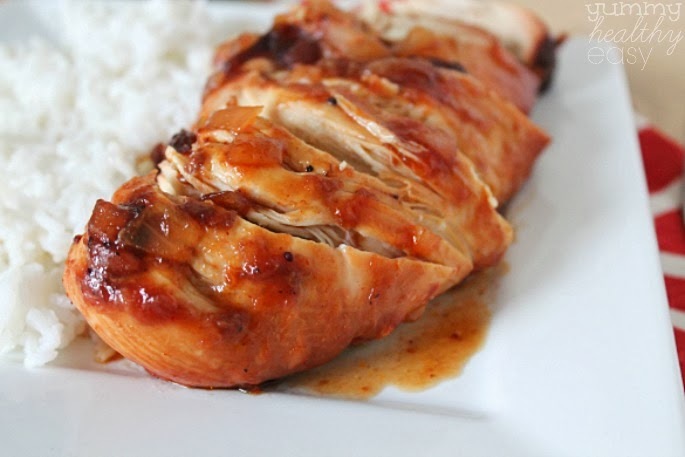 you would need another form of liquid to keep the chicken moist. Maybe some extra water? Let me know how it turns out if you do try it! Just curious if jellied cranberry sauce could be used in this recipe instead of the whole berry cranberry sauce. Hi Mariah! I haven’t tried it with jellied cranberry sauce but my guess is that it would work fine. Let me know how it turns out if you do try it that way. Thanks! I have made it with both whole berry and jellied. It does work with the jellied cranberry sauce. I prefer the whole berry but my husband prefers the jellied. Still either way it is yummy. can it be made with split chicken breast halves? Absolutely!! Make sure to check on the chicken near the ending time so it doesn’t dry out. can the chicken be frozen or does it need to thaw out first? I’ve never made it with frozen chicken, I would say to thaw first to be safe or it might take longer to cook and be more liquidy.